Those who believe in a supreme Universal Intelligence believe that nothing major happens in the universe unless the Universe wills it. 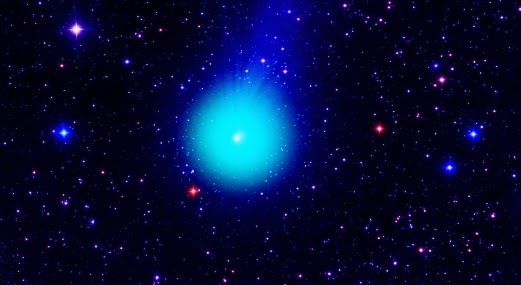 While scientists recognize the supreme organization in planets, stars and galaxies, some regard comets as wayward objects. However, there are others who see this as a necessity of the overall design. An earlier post (see here) in this blog described how comets may be regarded as the spaceships of God. Their icy interiors can bring genes of life stored in bacteria, the only form of life that survives hibernation over millions of years, acting as the seeds of life on new planets, where they awaken with the scent of moisture and a conducive climate. The genes of all life forms including humans are carried in bacterial genes. There is much more of that in earlier posts of this blog. Presently the earth is witnessing the spectacular comet Lovejoy in its vicinity.